The Group have a varied programme – cooking over open fires (some of it edible! 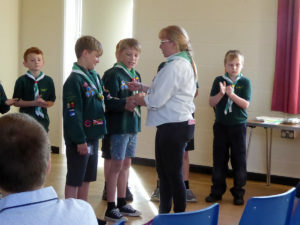 ), swimming, pottery, walks, cycle hikes, training, badge work. too much to mention here! 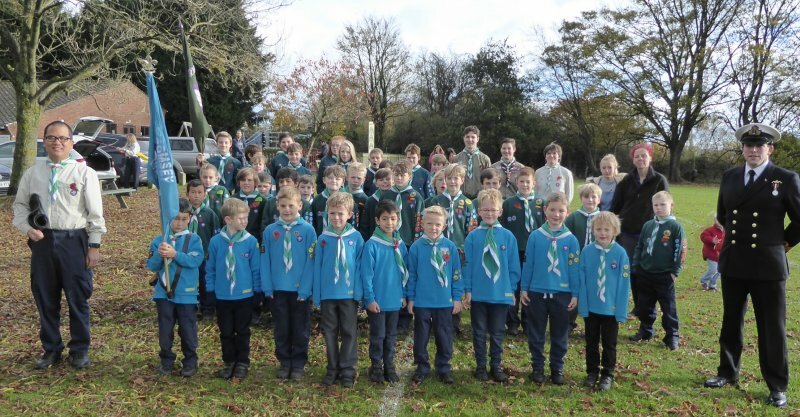 There are also Romsey District activities which can include 1st Aid weekends, night hikes, activity days, camping competitions, to name a few. 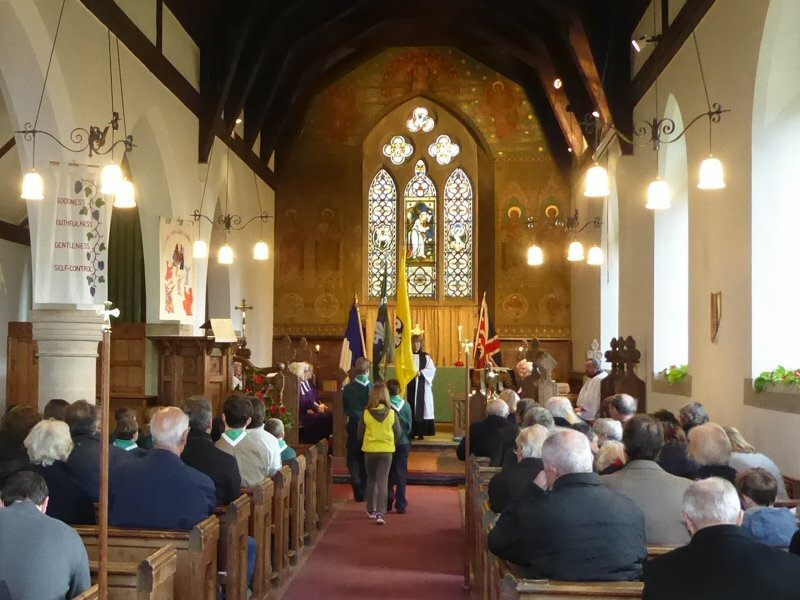 The Group is well represented at Romsey St George’s Day Parade, Braishfield Remembrance Day Parade, holds a late Summer tea party for the pensioners and are always willing to help out at local events. We aim to give all young people the chance to learn self reliance, self confidence and develop their skills in dealing and working with different people through the Scout award system and the Duke of Edinburgh Scheme. Thank you to everyone who attended our AGM and made it such a lovely evening. Welcome to the new members of the Executive Committee and thank you to all those stepping down. 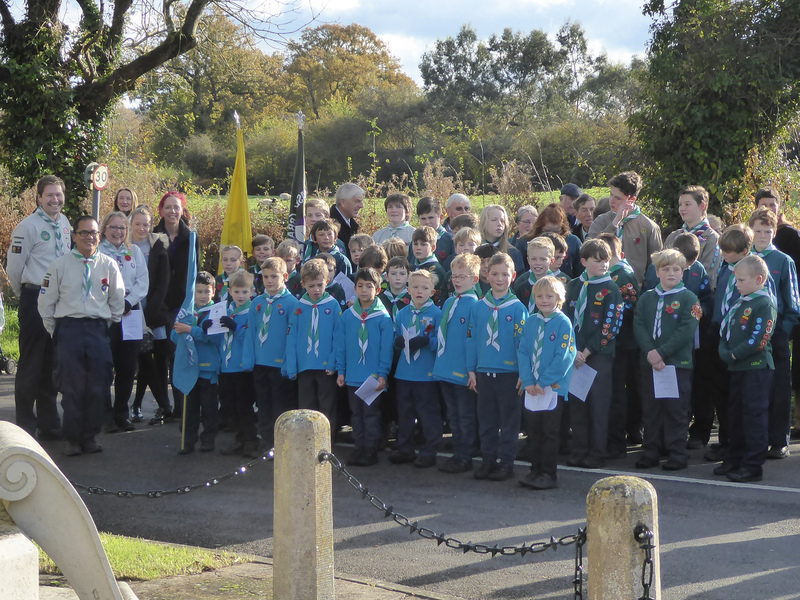 It was wonderful to see such a great turnout for Braishfield Remembrance Sunday. 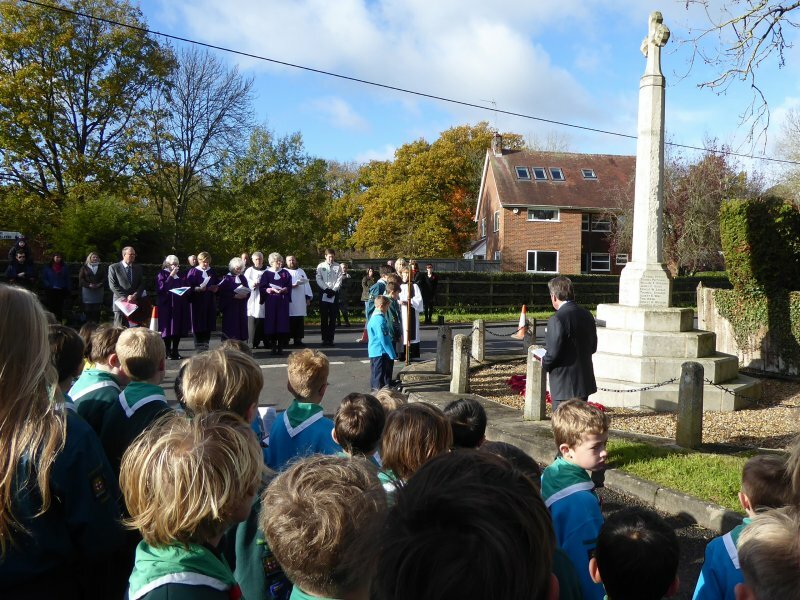 Beavers, Cubs and Scouts from 3rd Romsey gathered to remember those who gave their lives. The young people were impeccably behaved and we had so many lovely remarks from residents commenting on how well they conducted themselves – well done, we were very proud to be your Leaders.